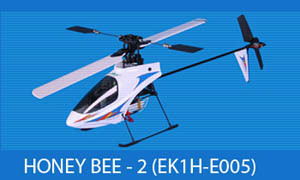 Honey Bee 2 Parts At : Electric scooters motorized bicycles .com is a wholesaler and reseller of of high quality electric products including rc electric helicopters and electric mobility scooters. We have a 20 dollar minimum on parts orders . For this reason we do not charge shipping on electric helicopter parts . Please call 219 764 7204 to place your parts order. All Shipping and handling is included. We ship by Fedex "Ground" usually on the same day you order! Place your order with confidence online by using our secure Paypal shopping cart.